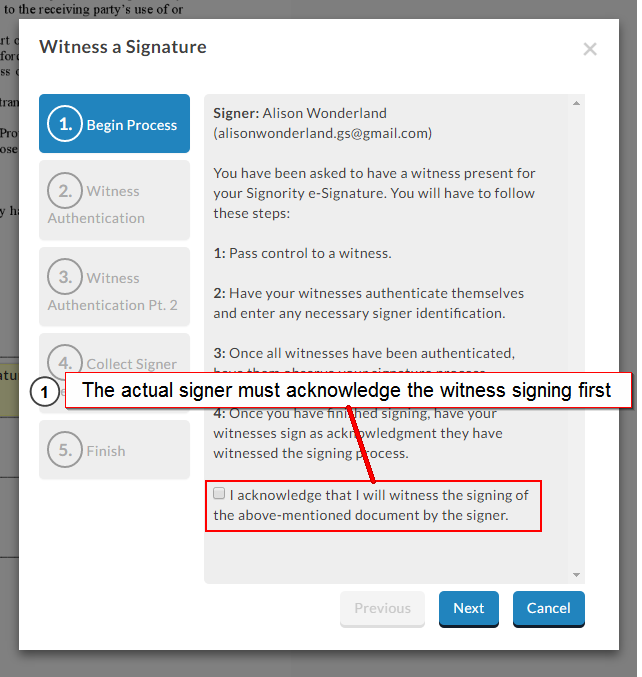 For signers, you may receive a document that requires a witness signing. In these situations, the witness signer must be with you in person at the time of the signing. How they go about signing the document is very similar to how a regular recipient signer would sign. 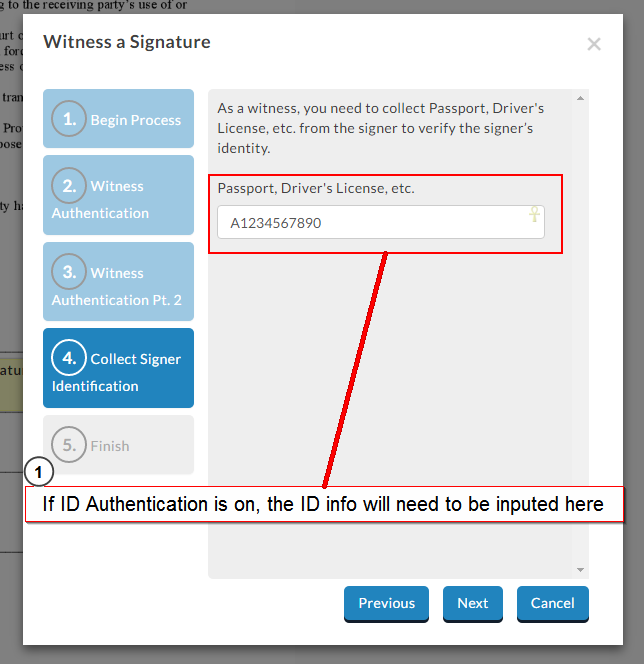 However, since the person sending the document does not know the identity of the witness, an authentication process is necessary to validate the witness signer. To do this, simply go through the signing process as you normally would, with the witness signing first. The witness can enter all of the information in tags besides the signature tag. 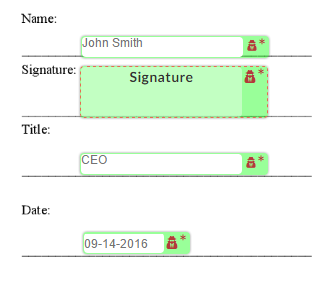 Once they’re ready to sign, click on the signature tag. 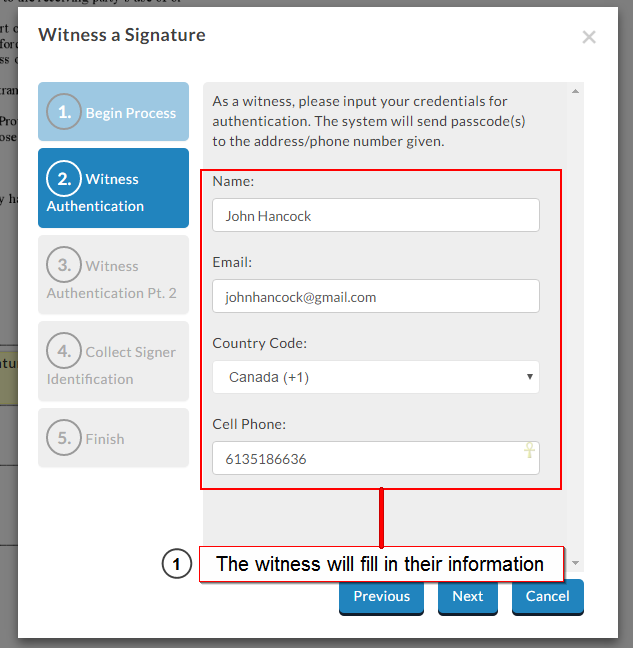 When selecting the witness signature tag, they will be prompted for the authentication process, similar to the In-Person Signer authentication. The first step will be for the witness to acknowledge that they will be signing as the specified signer’s witness. Simply check the acknowledgement and move on to the next step. Next, the witness will need to fill in their information. Enter the name and email. 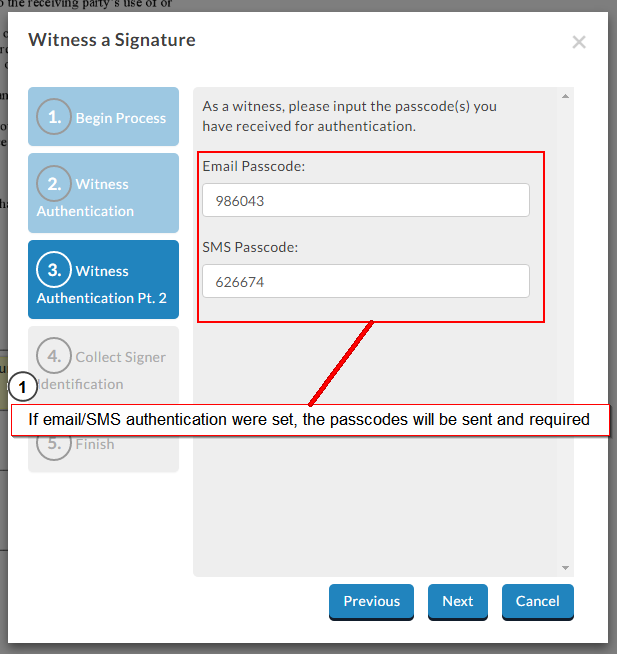 Cell phone details will only be needed if SMS authentication was selected for the witness signing. If either the email and/or SMS authentication method were set, you’ll need to enter a passcode that you received. The passcodes will be sent in Step 3 to the email and cell phone number provided in the previous step. Once the passcodes are received and inputted, you can continue. If an ID authentication was used, the witness will be required to input the information specified by the sender. The ID will usually be a government-issued document, such as a Driver’s License or Passport Number, but can also be anything that proves and validates the witness’ identity. This information will be captured in the audit trail as proof of identity for the witness. Once the steps above are completed, you can click Finished and when the page reloads, the signature tag will be accessible for signing. 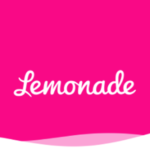 Signing will be the same as for a regular signer, they will have access to the draw, type, or upload options when adding their signature. 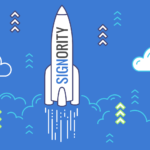 When they finish signing, simply hand control back over to the original signer and they can complete the signing process.